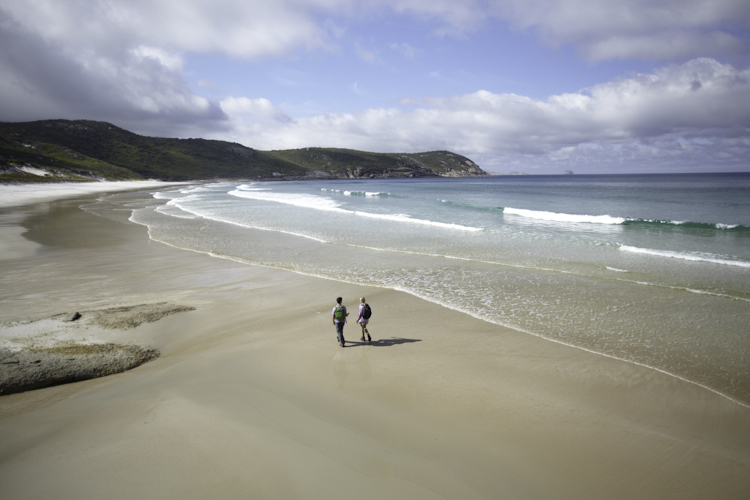 Our daily shuttle service to Wilsons Promontory National Park is designed for those who want to get out of town early and maximise the time on the ground exploring the beauty of The Prom. 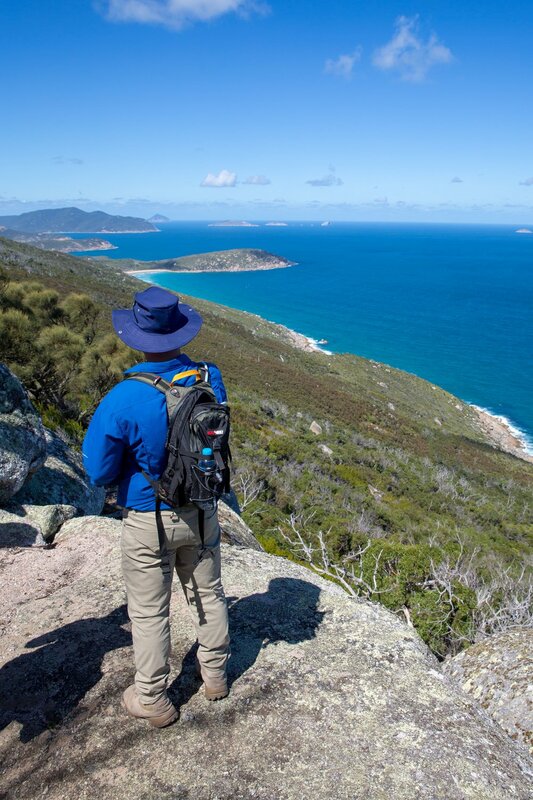 We get you there by mid morning giving you almost six hours of free time to hike to the summit of Mt Oberon, swim or seek out wildlife encounters. With just four key pick up locations in the Melbourne CBD we are out of town and on our way promptly giving you more time on the ground when you arrive. We take the most direct route and we do not divert to collect passengers from Phillip Island. Other tour companies will do this and it robs you of 45 minutes of your life that is better spent exploring nature. Hop on / hop off available giving you the option of staying inside the park overnight or tackling a multi day walk. The journey takes around three hours with a short rest stop approximately half way so you can grab a coffee or something to eat before continuing on to Tidal River. Our first drop off point is Tidal River at approximately 9.45 am followed soon after by byTelegraph Saddle. Those wishing to hike to the summit of Mt Oberon can leave the bus at Telegraph Saddle. Our third drop off point is at the beginning of the Mount Bishop/Lilly Pilly Gully walk. Our shuttle will return to collect walkers and transfer back to Tidal River. Lunch will be provided at 1.30pm.After lunch you may wish to do some more exploring or just relax with a swim. There is ample time to take a one hour walk across to Squeaky Beach where our shuttle will collect you for the return journey. Want to stay overnight or a few days? We highly recommend spending a few days exploring this wilderness paradise. You may even wish to take on the the southern circuit walk which takes several days to complete or an overnight walk out to Refuge Cove. We also rent out hiking equipment if you don’t have your own with you. You are able to hire single items such as a tent or you can hire our complete hiking set which includes everything you will need to complete a multiday hike. Talk to us about hop on hop off and accommodation options inside and outside the national park by phoning us or send us a message. We are here to help.